AMPAS Presents "Where Do We Go From Here?" 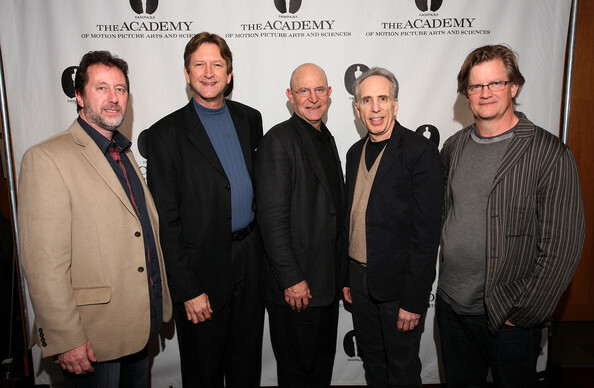 (L-R) Jordan Weisman, Transmedia storytelling expert, Ed Lantz, Immersive art and entertainment expert, Eric Haseltine, Neuroscientist, Jerry Zucker, writer/director/producer and Alex McDowell, Production designer, attend the Academy of Motion Picture Arts and Sciences Presents "Where Do We Go From Here?" at the Samuel Goldwyn Theater on December 2, 2010 in Beverly Hills, California.